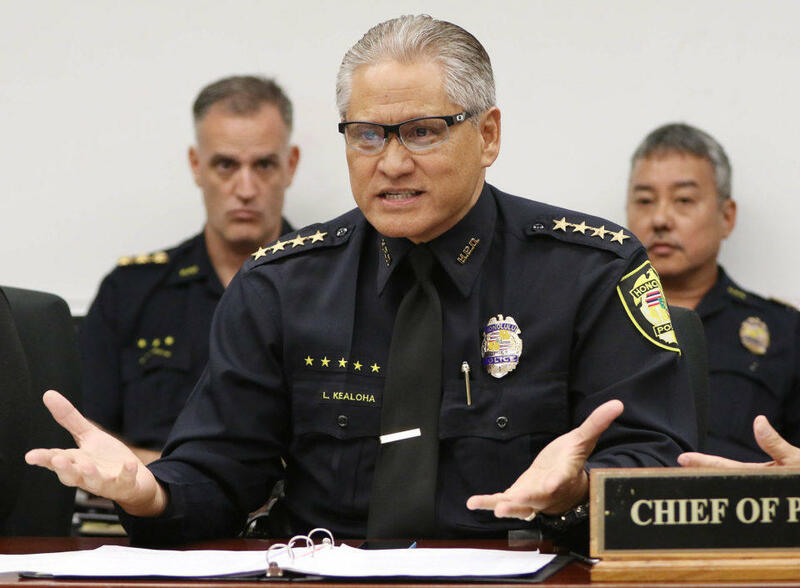 Former Honolulu Police Chief Louis Kealoha can hire an attorney to defend him in a federal case involving charges that he and his wife framed a relative to cover up financial fraud. Honolulu's police commission has approved hiring a lawyer to represent a retired chief in a federal case that accuses him of using police resources to frame a relative. Commissioner Steve Levinson says the panel approved the request yesterday. Former Honolulu Police Chief Louis Kealoha and his wife, former deputy prosecutor Katherine Kealoha, are indicted on corruption-related charges. Prosecutors say they used police resources to frame her uncle for the theft of their mailbox in an attempt to cover up financial fraud that funded the couple's lavish lifestyle. It's not clear how the decision will affect the federal taxpayer-funded lawyer the ex-chief already has. A hearing is scheduled for tomorrow. The commission rejected a second request for a lawyer to represent Kealoha in a case focusing on bank fraud, identity theft and other charges. The bombshell drug dealing indictments in the Katherine Kealoha case, and the petition by the state attorney general to suspend Keith Kaneshiro as City Prosecutor because of a conflict of interest are the latest developments in a public corruption case by federal prosecutors. We invited Loretta Sheehan, the Chair of the Honolulu Police Commission to sit down with us this morning. She served as a deputy prosecutor under Charles Marsland and Keith Kaneshiro. She also served as an assistant US district attorney and now serves in private practice.